Producer Cindy Bissell during a production of an episode of Rubber Duck Theater. “Rubber Duck Theater” debuted on August 1st, 2011. 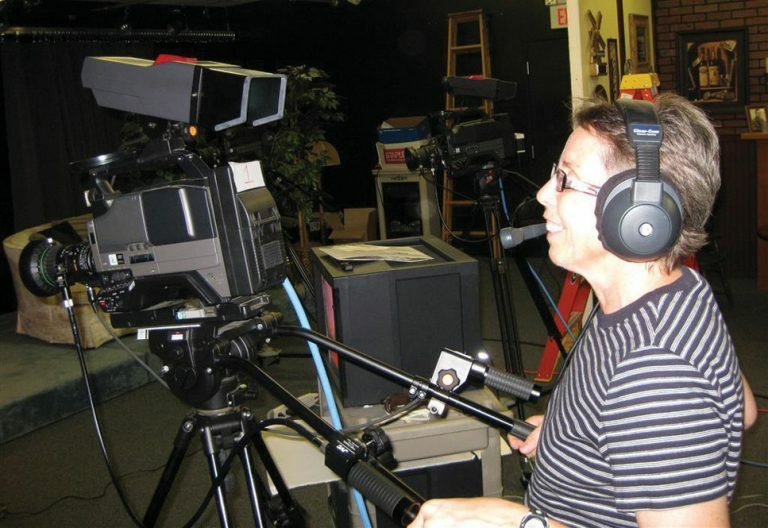 Cindy, Richard and Aaron Bissell are certified access producers for Grafton Community Television. The program featuring the Bissells with recurring guest Nicholas Nicklebee, is primarily billed as a half hour movie review show, but it includes a variety of topics including family travels and themed conventions. The Bissell family reached episode #50 in January, 2014 and episode #75 in November 6, 2015. The 100th episode features a one hour special that will run on Grafton Community Television during the month of September. The show airs on Grafton Community Television’s Charter Channel 191 / Verizon Channel 34 on the following weekly schedule: Tuesdays at 11:00 PM, Friday at 10:00 PM, Saturday at 10:00 PM and Sunday at 7:00 PM. The program will also be available at the GCTV VOD link: http://graftontv.org/current/VoD.html.